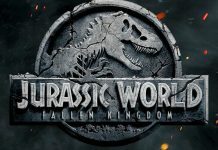 The Mummy: New trailer released by Universal! 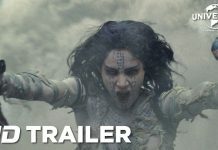 Universal Studios have released a brand new trailer for 'The Mummy'. Universal Pictures release third teaser for ‘Minions’! Universal Pictures have released more footage as a teaser for the up-coming Despicable Me spinoff, Minions. Minions is a Despicable Me spinoff movie. Universal Pictures announce release date for ‘Neighbors 2’! Universal Pictures’ has today announced there's going to be a 'Neighbors' sequel. Seth Rogen, Zac Efron and Rose Byrne are back in Neighbors 2. WATCH: The trailer for Universal Pictures’ ‘Ted 2’! Universal Pictures have released the first official trailer for Seth MacFarlane’s Ted 2. Ted 2's first movie trailer is here, and it looks hilarious!